The 2017 kit is ready to be ordered. The manufacturer is Bioracer and as you will see that we have negotiated super prices. 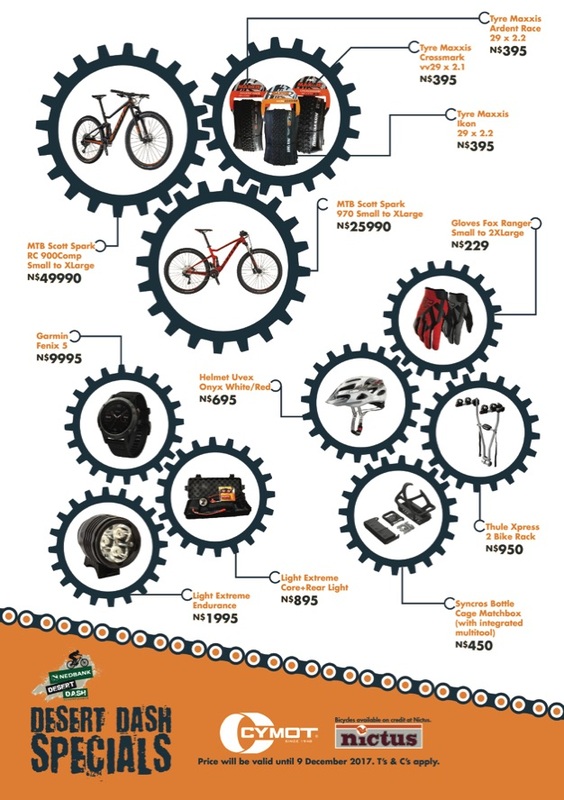 Please visit the website at http://www.desertdashnamibia.com/rider-info/store.html and start shopping. Make sure to select the correct size, the size charts are at the bottom of each item. Once you have added all your products to the Shopping Bag you can proceed to check out. Please note that payment will have to be done via EFT. If you created a login last year you will be able to reuse it to sign in. Once signed in you can click on place order which will generate an Invoice that you are able to print from the next screen. You will also receive an order confirmation send to your email address which you provided with our Banking Details. You will start getting more frequent communication from us in the next weeks. We have already informed you that Powerbar is the official supplement sponsor for our event. Please read the very informative document on nutrition and on how to use powebar products in your preparation. 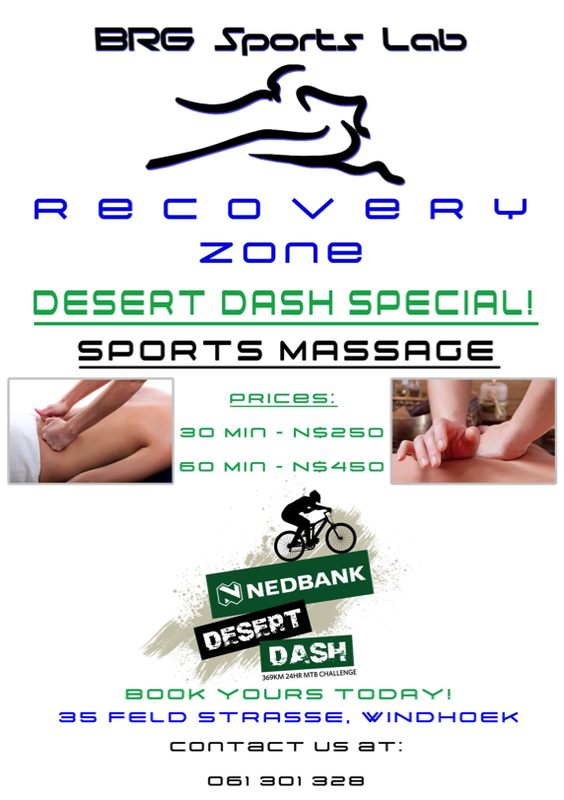 Check it out on www.desertdashnamibia.com and click on news. 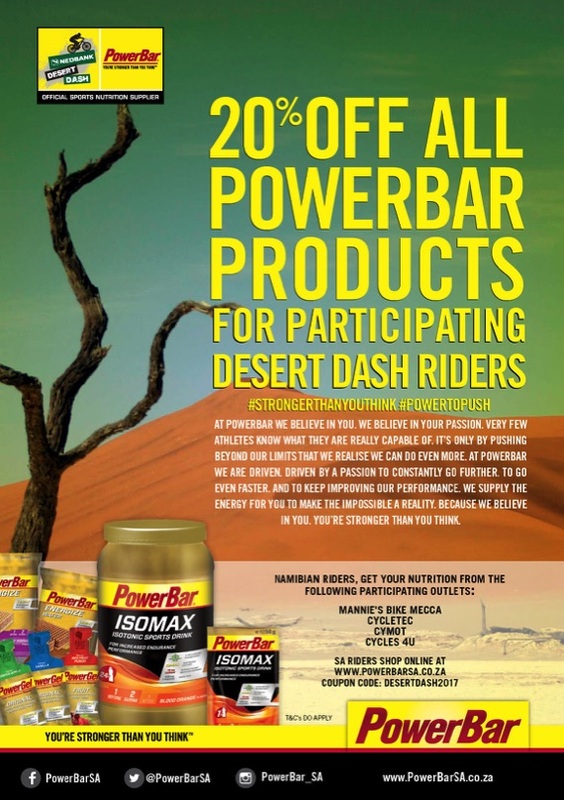 In addition powerbar is now offering a 20% discount on all their products purchased at selected outlets – this offer is only available to all of you 2017 Dashers. Please check out the Powerbar discount offer document below for details or visit the website for more information. Less than 90 days to go until we hit the Namib desert. By now you should be in full training swing – definitely the solo guys. As every year we have again received complaints from various sides about cyclists behaviour on the Kupferberg road. Cycling next to each other, cycling on the wrong side of the road, being rude to motorists and so forth. Please, just adhere to common sense – be safe, be considerate ! We have worked long and hard to promote safe cycling, to educate motorists to respect cyclists, it is counter-productive if we as cyclists are not returning that respect. We seriously need to keep our side of the bargain. I do anyway not understand why every Dash rider is so fixed on the Kupferberg road as the preferred training ride. There are so many other places to ride and train. Maybe some of you can consider to ease traffic on that particular road by training on alternative routes. Have fun, be safe and show respect. For all you brave Solo riders, it is time to get ready for online registration next week Monday 05 June at 10h00 Namibian time. Please visit Events Today at www.today.com.na/events, Keep in mind that it serves to pre-register yourself. 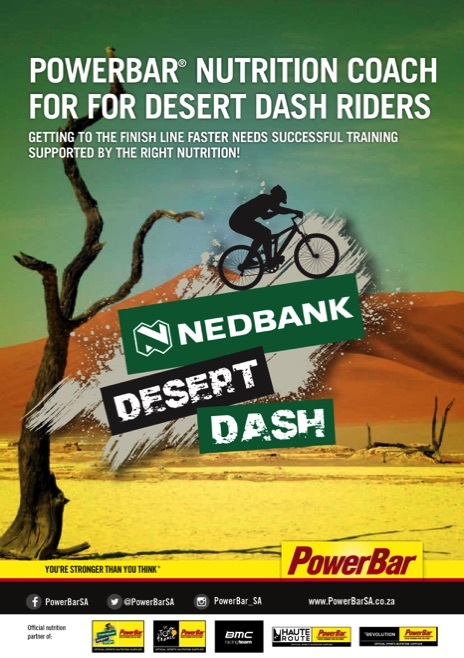 Air Namibia is once again an important partner with the Nedbank Desert Dash. The most relevant daily return routes for our international participants to Windhoek are Frankfurt/Johannesburg/Cape Town. Air Namibia will again transport your bike free of charge. Please note that any bookings (dash related) should please be made direct with ebson at Ebson.Ngondo@airnamibia.aero in order to qualify for this special arrangement. Registration for 2 person teams is Monday 12 June at 10h00 and for 4 person teams Monday the 19th of June at 10h00. It is almost time to start thinking about taking the plunge again. please visit the website for more information. 1. We have decided to limit the available slots to 300 solo riders, 150 two person teams and ONLY 100 four person teams. That will constitute 1000 riders. 6. 4 Person on 19 June at 10h00. 7. Entry fees for 2017 are: N$ 3000 for solo, N$ 5000 for 2 person and N$ 10 000 for 4 person teams. 8. We will allow for 20 early bird (cut off 22 May 10h00) entries for the 4 person teams only. 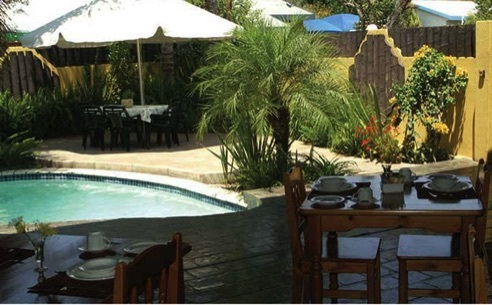 Price is N$ 20 000. N$ 10 000 from each entry sold entry will be given to charity. The 20 buyers will get mentioned on our website and in the media and will have a say in where the money should go. 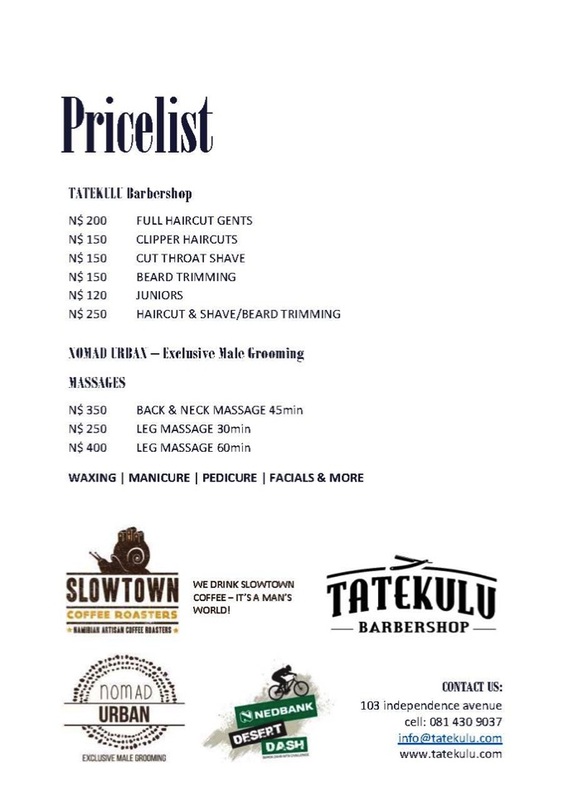 We hope to raise N$ 200 000 for such selected good causes. This also means that only 80 team slots will be available via regular online entry system. Interested parties must please mail Johan at raceday@raceday.events. 9. From 2017 onwards a mixed team will have to have a minimum of 2 female riders. 3 men and 1 lady will be competing with the men teams. 3 ladies and 1 man will also be deemed a mixed team. 10. For all teams in the past the finishers got a finishers medal if one team member did not finish.. From now onwards the entire team will not get a finishers medal if one or two members do not complete their respective legs. Click here to find out more on how to register on Events Today before the entries open. 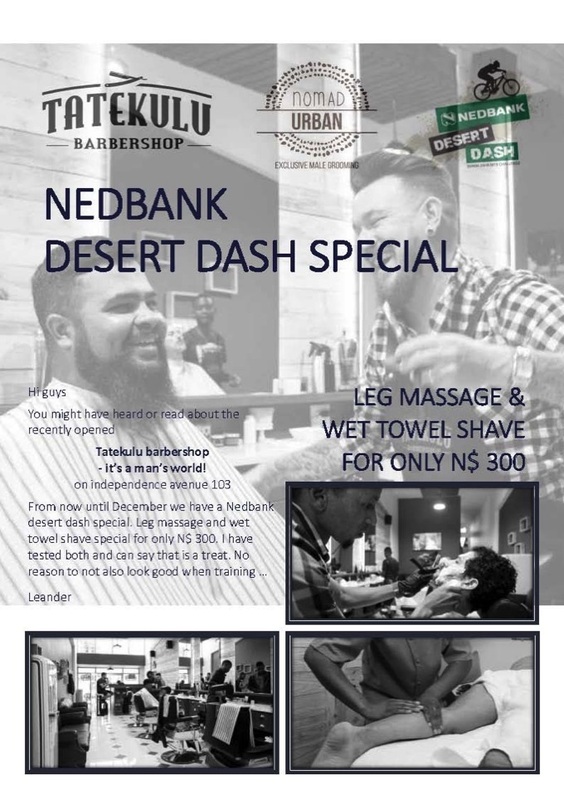 Hello to all you Nedbank Dashers !! Almost count-down time, almost time to start dialling back on the training, almost time for the start of the 2017 nedbank desert dash. Have a look at the website for the updated maps. there have been route changes for the back-up vehicles, specifically for the two person teams. please familiarise yourself now already. We have devised a new route for the 2 person back up drivers. See details on the OVERVIEW map. There will be a marshal to direct you. 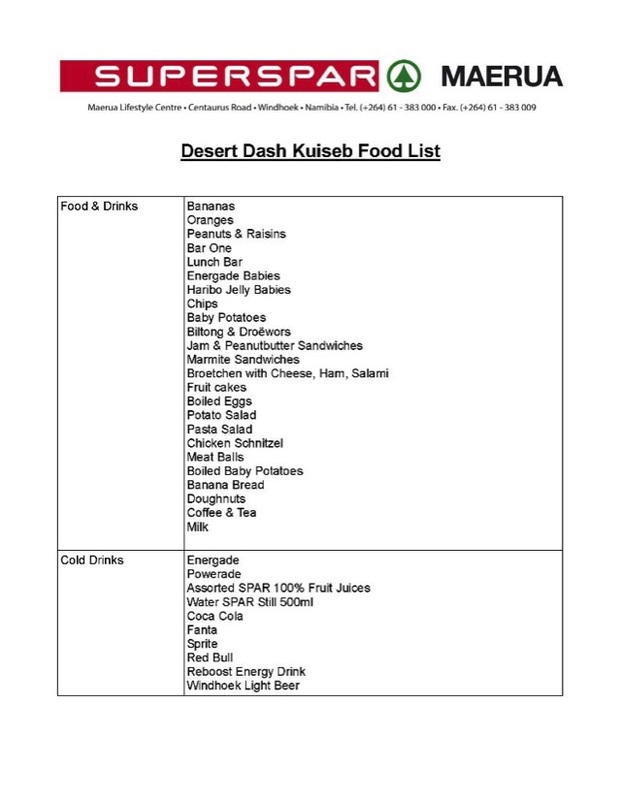 Latest departure time from checkpoint 1 will be 17h30. that will give you enough time to reach the Cymot checkpoint #3 by 21h00 latest. the last 11km on this route are against traffic, which is why we want you all in by 21h00 before the first riders depart the cymot halfway point (checkpoint #3). If your riders are not in by then you will have to wait until 18h00 before we allow you to drive back down Kupferberg, onto the bypass and follow the solo back up route along the C28 to checkpoint 3. Please take note that the final deadline for rider changes is 10h00 on 27 November 2017 where after no rider changes will be accepted or processed anymore. Rider change means the e-link must be submitted and your rider change fee fully paid. It is the responsibility of each team to ensure that the rider details are correct before the deadline. No rider changes will be allowed after the above date and NO rider changes will be allowed at registration. Rider changes send by email will not be processed, you may only email a request to do rider changes where after we will forward the appropriate e-link for you to be able to do your changes. Should a rider withdraws from the team after 27 November 2017, that team can still participate in the same category, but will not be considered a team finisher, ie: no timing allocated and no finishers medal. Participating under another riders name is NOT ALLOWED and will result in immediate team disqualification and exclusion from the race. It's almost count-down time, we trust that all are well and ready for the 2017 Nedbank Desert Dash. Below please find the arrangements with regards to the indemnity documents. 2. All team members as well as the driver MUST sign on ONE document - Please pay attention to the age restrictions and signatures of the parents or legal guardians. 5. Blank Indemnity forms will be available at the registration venue. 6. Please DO NOT EMAIL this document to us, we may only accept original signed documents at registration. 7. Your race numbers can be found on the official website under Who has Entered.